Worker safety should be of the utmost importance to any business, regardless of sector or size. 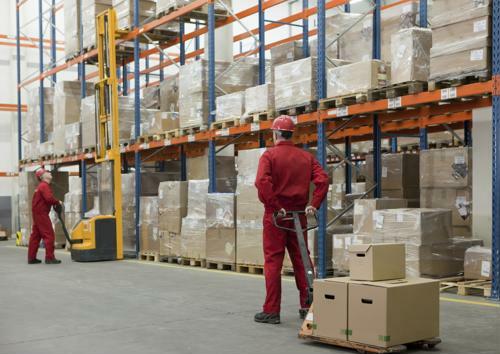 However, in the warehousing industry in particular, it's critical that companies do all they can to keep workers happy and healthy, lest they face critical breakdowns in the fulfillment and shipping processes. The fact is that an injury of any kind while on the job can slow or even halt work for sections or the entirety of a warehouse because of the need for proper investigation and treatment. With that in mind, it's also wise for warehouse decision makers to regularly review their own safety records and work processes, and compare them with industry-recommended best practices for keeping everyone safe on an ongoing basis. That includes ensuring every square inch of the warehouse's floor and shelves are kept nice and clean, so that there's no chance of slips, trips or spills that can cause injury, according Slice. In addition, it's probably a good idea to install no-slip surfaces in highly-trafficked areas to further reduce risk. Along similar lines, it's vital for warehouse executives to make sure they are investing in proper signage for any area of the job that might be more hazardous than normal, the report said. That includes signs that clearly denote hazardous or flammable materials, areas that are potential fall risks, and places where everyone should be required to wear a hard hat or other safety equipment. It's also important to regularly inspect that safety equipment to make sure it's in good enough condition to keep wearers safe, Slice advised. Another way in which companies would be wise to conform to high safety standards is to set baselines, according to Legacy Supply Chain Services. When workers are aware of what must be done to uphold a good safety record - and are regularly trained on best practices for various aspects of their job - they will be far more likely to do everything that's necessary. To make sure the training and standards are sinking in, managers should also strive to hold "pop quizzes" and sweeps of their facilities somewhat regularly to ensure there's no area where lapses have started to build up, the report said. It can also be a good idea to either hire someone whose sole job is safety, or install a committee of long-tenured workers with good personal safety records. Likewise, it's a smart move to periodically reward staff for avoiding workplace accidents. Perhaps the best way to make sure everyone in a warehouse is following all safety precautions and doing their part is by raising awareness through signage and promoting open communication between workers, according to the Adapt a Lift Group. When workers feel comfortable having a dialog about safety issues and know how to look out for each other on the shop floor, it can go a long way toward reducing injuries and accidents. Better workplace safety practices will typically lead companies to have happier, healthier workers, and that can provide an additional benefit by reducing turnover.